When will be Living with Volcanoes next episode air date? Is Living with Volcanoes renewed or cancelled? Where to countdown Living with Volcanoes air dates? Is Living with Volcanoes worth watching? New 2 part series studying the causes and effects of volcanic activity - from the science behind eruptions to the social, economic and environmental impacts. A perfect case study of a volcano in an LEDC. 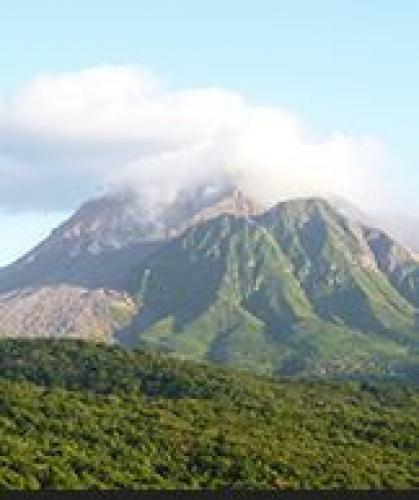 The resource provides a clear explanation of the processes causing Montserrat's recent volcanic activity. It then assesses the social, economic and environmental impacts of the continuing eruptions. The likelihood of Montserrat becoming self-sufficient is explored with sections looking at: the potential of Montserrat's tourist industry; strategies for disaster response and preparedness; and projects to improve biodiversity. Living with Volcanoes next episode air date provides TVMaze for you. EpisoDate.com is your TV show guide to Countdown Living with Volcanoes Episode Air Dates and to stay in touch with Living with Volcanoes next episode Air Date and your others favorite TV Shows. Add the shows you like to a "Watchlist" and let the site take it from there.